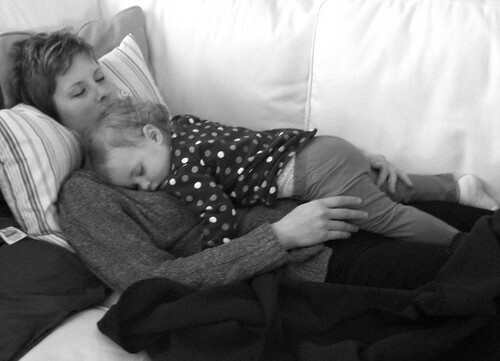 To say that my little girl loves her mama is such a huge UNDER-exaggeration, it’s almost funny… almost! I’ve alway been a very independent person, and growing up, I would often say that I NEVER wanted to have “clingy” children. I wanted my kids to be able to easily play with other kids, to love having a baby sitter (we had amazing baby sitters growing up and really did love them), and to look forward to time away from Mom and Dad. And while I know Nora is not quite 2 years old yet and still has a lot of growing up to do, her ultra-clingy, needs-her-mama-ALL-the-time personality has made these last 2 years pretty challenging for my overly-independent self. Life with Nora has been a struggle for me from the moment she was born. The moment Nora reached my arms, she stopped crying… and although I was exhausted, I remember feeling such a huge sense of pride that my baby “knew” her mama. And then the same thing happened the 2nd night in the hospital. I was so tired from not sleeping much the night before, and I could tell the nurse felt horrible — but Nora just would not stop crying. Over the next many months, I came to realize that Nora was one “special” baby. 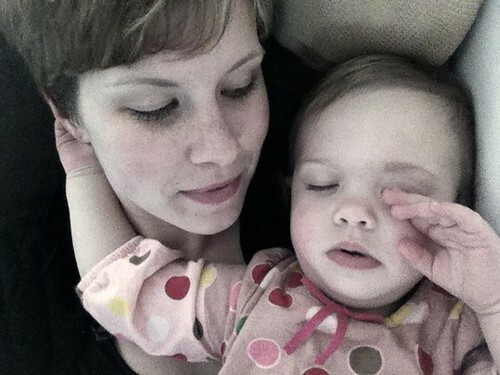 She loved her mama more than most babies — and not necessarily in the cute cuddly way you might all be envisioning. Picture endless screaming any time I left her with Dave or with her grandparents for short periods of time. Picture violent fits any time I took a shower, went to the bathroom, or even left the room while she was awake (even if another grownup was playing with her). Neither Dave nor I had much parenting experience (a.k.a. we had NO idea what we were doing) but it didn’t take long for us to realize that her behavior was NOT normal — especially as she got older and nothing seemed to improve. We tried getting involved in a couple play groups, interacting with some neighbor kids, and inviting other kids over to our house; but Nora would just freak out and cling to me the entire time. We tried regularly leaving her for very short periods of time with close family and friends; but we would always come home to a snotty nosed baby who was so exhausted from screaming, that after a while, I didn’t enjoy myself when I was out. Thankfully I’m a major home-body so I didn’t feel trapped staying at home — at least in the beginning. It was so bad that we couldn’t even put her in nursery at church because her screaming was disruptive for the other kids and super overwhelming for the adults. After 17 months of almost never being away from Nora for more than a couple hours (and starting to feel like I was literally going insane, losing my whole identity, and failing miserably at parenting) I learned about a new therapy program that was much more economical than our current therapy program and much closer to home. We started the following week and one of the first things the therapist told me was that Nora was SUPER high-needs and had major sensory issues. Seriously, I had talked with numerous doctors and therapists and no one had ever told me this before. If you don’t feel like reading the entire article, I’ll sum it up for you — High Need babies are NOT like other babies. They are (as the article states) intense, hyper-active, demanding, and completely draining. They feed frequently (like ALL the time!) and awake frequently. They are unsatisfied, unpredictable, unable to self-sooth, and super sensitive. They require constant attention, they don’t like to be put down, and they have severe separation anxiety. 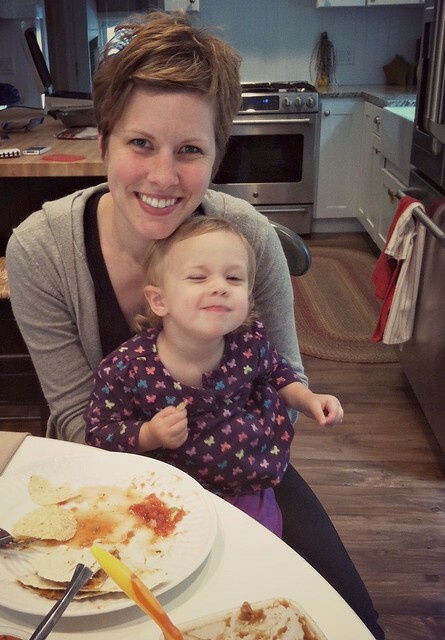 So for those of you who know Nora — or for those of you who have read my blog posts about her and about motherhood these past 2 years — does any of this sound familiar? It’s like that article was written specifically to describe Nora! I hardly finished the article before I yelled for Dave to come read it too. We looked at each other after he finished reading it, and it was like a light bulb went off. We hadn’t royally messed up. We hadn’t ruined our child. We hadn’t failed in our desperate attempts to implement the (mostly) well-meaning suggestions from friends, family, doctors, therapists, and parenting books. While Dave and I breathed two humongous sighs of relief, I continued to scour the internet for more information about high-need babies — and of course, we continued our therapy program. After two more therapy sessions (with homework in between) we could already tell a big difference. The difference was so obvious that our therapist told us to take a couple months off (yes, after just 3 sessions total) and just work on the homework exercises she gave us over the summer. So for the past couple months, we’ve been rubbing and massaging Nora’s skin with a special “brush”, and Nora has been listening to special music on her headphones — isn’t she cute! These homework assignments might sound like nothing — and yes, they are super easy to do — but I can’t tell you the difference they are already making in our lives. There is a light at the end of this long tunnel! 1. Almost immediately, she started taking daily naps (she never took naps before). It’s still not great, but I’ll take 30-45 minutes over nothing any day! 2. She cries SO much less — around us and around others. 3. She was able to stay home with Dave for large chunks of the day this summer without getting anxious or crying for hours — this might sound ridiculous, but it’s a big accomplishment for us. 4. At 18 months, she finally started accepting people food without throwing up or freaking out (she refused all baby food, people food, formula, and even breast milk from a bottle before this). 6. At 19 months, she made it through her very first church nursery with no tears! 11. She willingly and excitedly plays with our 9th grade neighbor girl (who loves babies) even if Dave and I are inside or in a different part of the yard. I realize that those of you with “normal” kids must think we are absolutely insane (believe me, sometimes we feel insane) but this is huge, HUGE progress for Nora and for us. Although we still have a long way to go (like the fact that she still wakes up several times EVERY SINGLE night), just knowing that we’re making continual positive improvement is so reassuring. I finally feel like I can live my life (or at least a few hours of my life) without worrying over how difficult Nora is being for Dave, for our parents, or for a babysitter. I no longer have horrible dreams about what Dave would do if something ever happened to me. I no longer have tons of anxiety about Sunday mornings, family gatherings, or outings with friends. I no longer feel completely trapped and suffocated. I no longer feel like I have to do everything alone — Dave can FINALLY help with childcare, mealtimes, and late nights. I don’t think I have to tell any of you how amazing it feels! So with a 2nd surprise baby on the way, I can’t help but wonder if he or she will be super high needs like Nora, or if we’ll actually get to experience what it’s like to have a “normal” infant in the house. Of course I hope that our next child will not be a high need baby — but if he/she is, I know it will be easier than it was with Nora. We’ll be able to detect the signs, we’ll start therapy MUCH earlier, and (most importantly) we won’t feel like complete parenting failures for 17 long months. 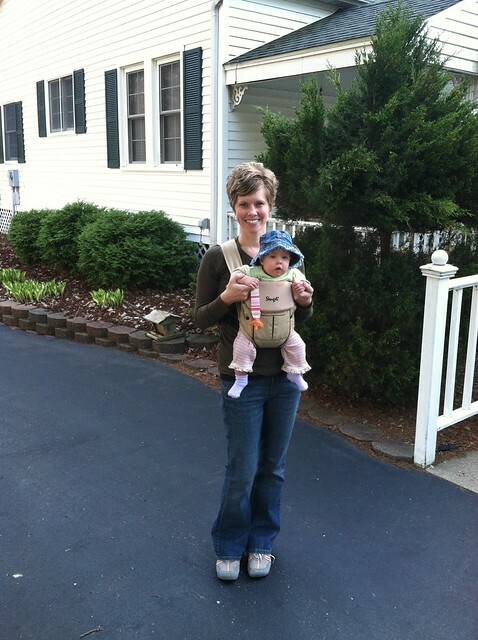 I’d never give Nora back… but sometimes I wish we could have those first 17 months of her life back to do over again. After reading this post, if you feel like you might have a high need baby, please know that there is NOTHING you did or didn’t do to make your child that way. Also, don’t be afraid to ask questions and seek help — I can’t tell you what a transformation our therapy program has made in our lives! I loved reading this article! Wow ! My baby is only 2 months old but sounds a lot like Nora. Do you know if 2 months is too young for a therapy program? yes, I would say 2 months is too young — most therapy programs don’t start until at least 6-12 months — and food therapy and speech therapy don’t start until 18 months (at least by us). you could always search for local therapists though and ask them! Wow! You are describing my daughter to a T. She’s 16 months old and an all-mama-all-the-time girl. She’s been velcroed to me since infancy, and only in recent months she tolerates my husband (when in a good, secure mood – which is kind of rare… she’s definitely baseline grumpy, but when she’s happy, she’s realllly funny and sassy). 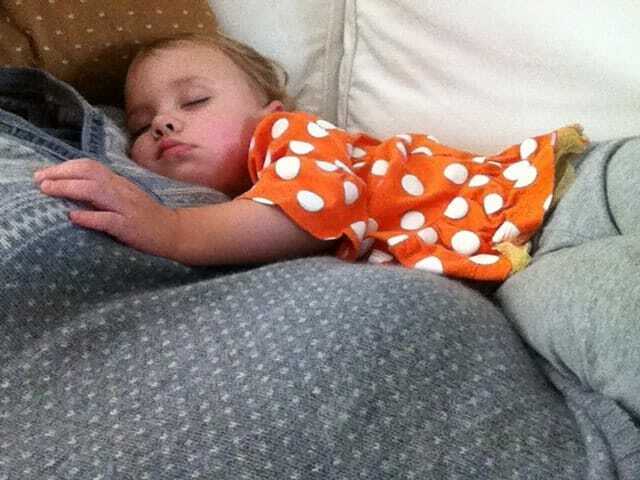 But I’m the only one who can put her to nap or bed (and by putting her to bed, she sleeps latched on or on top of me). Sounds like it was a mix of therapy and age that finally helped your daughter? What kind of therapist did you go to? Any advice? Thanks for sharing your story! it’s local, so i’m not sure that will help you at all… and yes, age was a big factor. It totally stinks, but sometimes, you just need to let them grow out of their quirks! I wish I had this information back when my son was born. I’m a grandma now so I’m older than most on this blog. My son was my first born also, this was back in 1979. I didn’t have issues with feedings but he would constantly cry and I mean cry, there was no soothing him. As a toddler he would have melt downs for no reason and they would go on for hours and we could not sooth him and believe me we tried everything! It could happen in the middle of something he was totally enjoying, there was no rhyme or reason. . He hardly ever smiled and I couldn’t get anyone to watch him because of his constant screaming and crying. I tried to go back to work part time and I had my sister in law babysit him but after a couple weeks she called me and said she couldn’t take it anymore. I tried to talk to his doctor about it and he would just look at me like I was nuts and tell me I had a perfectly healthy normal son. I thought if all boys act like this as babies I don’t want anymore kids! Thank god for my mother back then otherwise I probably would have gone completely bonkers. She would watch him for me to give me a break, she understood and put up with it, no one else would. I would never leave him with anyone except family as I feared they may loose it and hurt him. I did end up having anxiety attacks for a while, it was just so bad. Good news is he’s an adult now and remembers none of it, I wish I could say the same 🙂 He is still the type that doesn’t like things thrown at him at the last minute and is more high strung than others but over all he has adjusted. He is super intelligent and was always way ahead academically in school, he also got bored very easy if not challenged. I wonder now if he might possibly have been high end autistic, he never liked to be cuddled or held much, just the opposite of your little girl. He’s married now and has a family of his own, somehow we all managed to survive, no thanks to his doctors. It would have been nice at the time if I could have had help for him or even just a couple of people to talk to who were going through the same thing. Of course we love them with all our might. I’m so glad you have found the help you need and that it is working. Hang in there your beautiful little girl will be an amazing women just like her mom! For instance, I nursed until 4 years old (and with no more milk now, sometimes she still asks for “bitty” when too stress out, and can hardly calm her down! )… have bee wanting to get help, but I really needed someone with hihg need expertise, and sort of onto Attachment Pareting style (for insatnce, I co-sleep, with her theres no other way for now…).. So sorry to hear about what you’ve been struggling with. I definitely can relate to many of the things you mentioned — it’s SO hard! Unfortunately, I don’t have any great resources for you in Portugal — but I would encourage you to keep seeking out support (or even just other sympathetic and understanding parents). It was so helpful for me just to know that I wasn’t completely alone in my struggles. Maybe you could even search the internet for other blogs that talk specifically about high needs children, Attachment Parenting, etc. My oldest (of 4) was a high-need baby to an extreme. Somehow we survived the first months of literally nonstop hours of crying, the first year of waking up every 45 minutes at night and NO naps, and he went on to grow into the smart, sensitive first grader that he is now. We still struggle with clothing sensitivity, and he needs a lot of attention from me. His teachers think he’s a dream child, but he can melt down completely when he’s overtired. I wish I knew of a similar therapist in my area! Thank you for sharing this! My daughter and only child is eight. She was recently identified with SPD, feeding and speech issues. I wish I would have realized and helped my daughter earlier. She is now in OT and speech therapy, but could have been helped so much earlier. It is surprising to me that I had never learned about sensory processing issues. My husband is a physician, my daughter’s issues were discussed at doctor visits and with dietitians, she attended early childhood classes with me since she a toddler, and she was never identified by her school as needing help with speech until I requested her to be tested. I really appreciate you sharing your story so others can become aware about these issues and it so nice to know that I am not alone. Thank you! Andrea, I have been reading your blog a few months now and have related to many of your posts. After looking over some of your older posts, this is one that has really hit home lately. My wife and I have three wonderful daughters, each with their own personalities and characters. But the newest addition t our family is definitely falling into this high need category. She smiles at everyone and is definitely a happy and silly girl. But that happiness leaves the instant she is put down. This is our third child, so it’s always interesting when a well meaning stranger in a waiting room or at a store says,” don’t hold her so much, you’ll spoil her.” lol, I jut respond, ” I’m her dad. It’s my job to spoil her. It’s easier than explaining we might possibly know what we’re doing! So the accommodations are made. She will only go to sleep For daddy, yet prefers to sleep WITH mommy. Translation: I let her fall asleep in my arms on the sofa, then place her in bed with mom once asleep. Another source of well-meaning, yet unsolicited scorning. I love her with all my heart, hih maintenance and all. Even if she’s taken over my half of the bed! Thanks for sharing your story Ted — sounds like our little girls are very similar! You are wonderful, patient, kind mother and a huge blessing to your children. Great job! I hope this isn’t too personal, but have you tried any kind of massage with Nora? You of course would be the one administer massage to your child, not a stranger, but she might find it relaxing. I’ve been a therapist for 12 years and I know parent administered massage is often a wonderful way to soothe fussy & uncomfortable infants, it’s also an excellent way to alert the body it’s time for sleep. I was curious what a high needs toddler might think. If this doesn’t seem too strange to you, maybe look up infant / child massage in your area? Usually they are classes taught to parents by professionals. They teach gentle, parent administered, calming & safe massage to specific acupressure points on baby (in hands / feet etc.). If you give it a try, be sure whomever you are learning from is a licensed professional who is experienced with child / infant massage and stop if anything seems uncomfortable to you or Nora. I would also recommend asking your current doctor or therapist what they think prior to trying anything new, as they will be best at determining if this is something that is right for Nora. I hope you find this info helpful & not pushy, I’m not expressing any kind of medical opinion or advice, but sometimes simple ideas are a life saver. You are doing many parents a great service by discussing your experiences with a high needs baby so openly. I’m so happy you are having such wonderful breakthroughs with Nora. I love your blog & I think you are a very brave & strong woman. 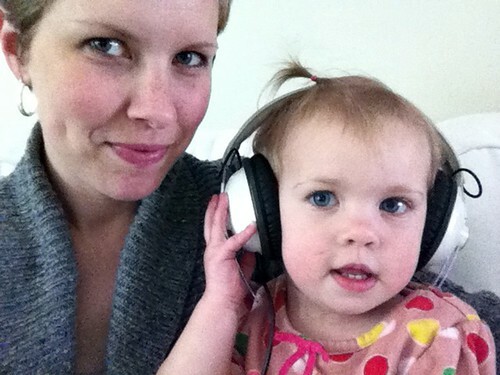 I just commented on a later post about the sensory issues and my Nora…this post one made me cry though. It’s almost identical to our experience… The crying and the sleeping… I still don’t go out often and we only go to church twice a month to avoid the drama…. Anyway I just wanted to say thank you for sharing, I feel like I’m not alone, or crazy or unreasonable in avoiding a lot of other social situations. It was very surreal reading this post about your high need daughter. I have 8 children. The first 6 were born in 8yrs, so they have a very close age range. Baby #7 and #8 were born 5 yrs and 8 yrs after our youngest. I thought maybe their “high need” differences, compared to our others, were due to the gap in our parenting. Maybe we were just getting soft in our old age??? Your descriptions of Nora were like you were describing my 2 youngest daughters. In fact, Nora is 2wks younger than my 8th child. Thank you so much for sharing this part of your parenting journey, challenging though it has been. I *know* it will be helpful to other mamas and daddies. What sensory listening program did she use? Did you feel like it made a difference? I have no idea — it was just some songs the therapist downloaded onto our mp3 player. They didn’t have titles and it wasn’t music I recognized — just music. Sorry I can’t be more helpful! No worries at all! Thanks for replying. Do you still use it and do the brushing? How is she doing now at 2 with her sensory issues? We haven’t been doing the music or brushing much lately. We started to find that the brushing was making her REALLY hyper and very active — so sometimes we actually do the brushing before we go somewhere with lots of people. She seems to be more willing to interact with them (weird I know). The music and brushing did work at times, but neither were a real “fix” for our situation. I just came across your site for the first time, and was drawn to the post about Nora’s trouble sleeping. I have 2 boys who did not sleep well for years. Consequently, I did not get a full nights sleep for about 6 years (while working full time). I found that strep was a HUGE factor. . The boys would have strep without any outward symptoms (and they were too little to communicate)– I finally discovered that not sleeping through the night was a symptom. There is a lot of information about an autoimmune disorder triggered by strep called PANDAS that you might want to explore if you haven’t already ruled it out. The best behavior modification tool that has helped is the Good Nite Lite http://www.goodnitelite.com/. Hang in there, it will get better. I too have a first born daughter that was very high maintenance. She too was under sensitive to touch and needed much more sensory input than other kids. 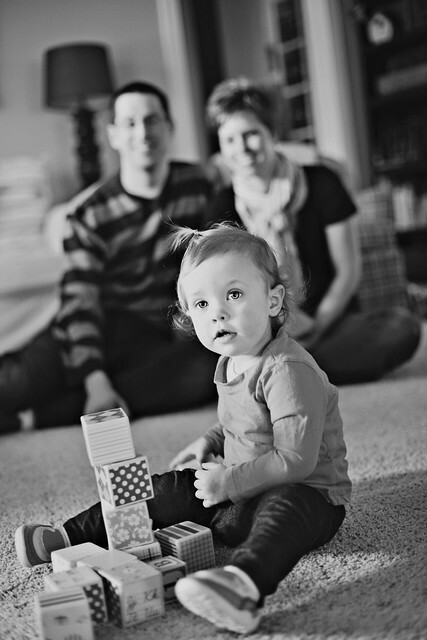 It took us until she was almost 2 to learn more about it, no one we knew had a child who had sensory issues. We are so thankful for early intervention programs and a great OT who taught us how to get her what she. And yes we slept with her on our chest for many many many nights so that we could get some sleep. Worn out. And daughter #2, born 3 days before daughter #1 second bday, was a breeze. I finally realized how “easy” a baby could be. Hang in there. 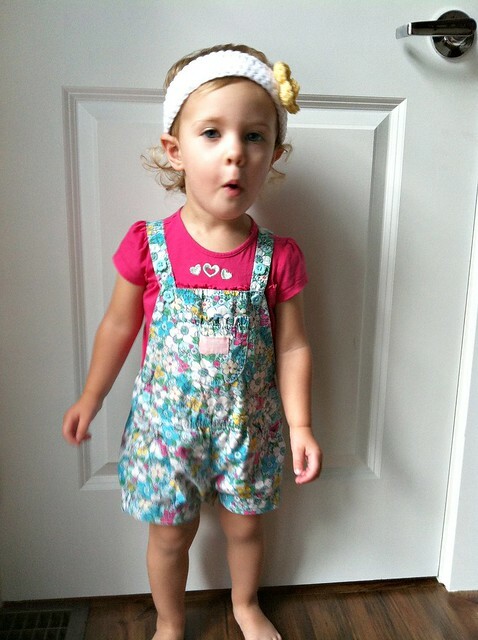 Andrea, my daughter found out that some people aren’t born with the ability to make enough Omega 3. It worked for her son. A nurse suggested that she take him off the supplement to see what would happen. Laurie knew what would happen – she would be right back where she started, which was not good. She lives in another state and I was there just before she started the Omega 3 and next time I saw my grandson, it was amazing! You can by it at health food stores in the refrigerated section and there is one made just for children. This all happened when he turned 3 and he had not started talking yet. The “hissy fits” were also quite amazing! Within a very short time, the difference was amazing and now he is 6 and completely caught up. I often think if she hadn’t found about the Omega 3 he would of ended up in special ed and his life would have turned out entirely different – over something that simple! This might not be the case with Nora but thought it was worth mentioning. She sure is cute! Just wondering, what does the Omega 3 liquid do? Is there an internet source or a specific name to google to find the therapy??? I also live in west mi and believe we go to the same place for therapy. They are all wonderful! I feel your pain thinking what did I do wrong but God doesn’t give us anything we can’t handle. I just kept repeating this over and over. Nothing ever went as planned for my pregnancy’s or the births and all went to neo natal. So normal anything would have been nice but I have three healthy children that God gave us. Therapy has been InThe cards with everything from feeding to the brushing and headphones. So glad I found this and that it has helped. FYI I my son loves the downstairs play area and loves the crashing and the tramp so we now have a small tramp in our home so he can get his input while he jumps and listens to his headphones at the same time it is a win win and help get some energy out. Maybe Nora would like that also. Praying things will keep getting better for all of you. Congrats on baby number two. I wish I had read this article when out kids were younger (they are now almost 7 & 8)! Both of our kids were this way to some extent & our family never understood. It caused a lot of tension when they were babies because they thought I just didn’t want to share the kids with them. Truth is it is exhausting & lonely! I have never heard of this being an actual diagnosis (for lack of a better word) & just thought it was their personality. They both have these traits (although each of them to different extremes) so it wasn’t any easier when the 2nd one came along & only wanted mom bc her level of comfort was eased by different things than her brother. I wish there was more education on this! Especially when the nurses in the hospital can tell that a child will not be happy unless they are in moms arms! Thanks for sharing. I had an light bulb go off as I was reading this & feel much better knowing it wasn’t me that was doing this to them. Now if we could only get my daughter to be ok (at almost 7) with being in a different room than mom for more than 2 min!! Great article. I am the parent of high-needs child also, who is now 18 and off to university. She was much like you describe your daughter to be when she was a baby and toddler. I wish I would have had access to the therapy you describe. It was a really hard thing to go through because no one really understood what we were going through. As my daughter got older things did improve, but the sensory issues were always (and still are) there. For example: the middle school and high school cafeteria was always an overwhelming experience for my daughter because of the noise/confusion. My only advice might be to make sure you are an advocate for Nora in the future to help her though those situations that might be easy for others but difficult for her. Wow! What a relief for you to find out this information! And by sharing your experiences you will be able to help other parents….There are many families out there that struggle with the same thing and perhaps not getting a diagnosis for one reason or another. I have a special needs son who has sensory issues…and didn’t not have any information until just a few years ago. Great strides have been made in this area! I drive my son 90 miles once a week to see an occupational therapist. It makes all the difference in the world. You are not alone and you would be amazed at how many families that are out there who go through the same thing. Thank you for sharing your story! Yay!!! My youngest has some sensory issues (not nearly to Nora’s extent) along with some visual perception issues, low muscle tone, speech…all to a smaller degree but combined together makes life interesting. My oldest has some anxiety issues (again not huge but it’s there) and when he was younger he did not love being away from me…except for preschool and play dates but I was typically there for play dates. Thank goodness! So, I can absolutely understand your excitement over Nora’s progress. What an accomplishment for her to have less anxiety over being without Mom! Andrea, I wanted to share with you something that really helped my daughter to feel more at ease and that I’m hoping you will want to get for Nora. My guess is she will love it as a place to snuggle down alone once she gets used to it! You and Dave are amazing parents for this wonderful and complex little girl! Yeah!! Andrea – I always love that your writing is so transparent and honest and that you’re willing to share so openly with others. I’m sure this blog post is going to be of great help and encouragement to those that are experiencing the same things. So glad you found something that’s working – and maybe this means we’ll see you again once in a while at West Michigan Blogger meetings 🙂 Congrats on baby #2!! Beautiful post, beautiful little girl. One of my twins had similar issues and it was a tough road to parent. I would be careful with the “normal” label. These personality traits are your daughter’s normal and now yours too! I wish I had some help/techniques to better deal with him. My son’s difficulties were a huge wake up call for me as a parent and one I will never forget. They are teens now and what I could not see through the sleepless nights and incessant crying was “this to shall pass” and it passes quickly. Your daughter is so young for some of the expectations you list…. that society puts on our kids. She may always be more sensitive, more anxious and have difficulty with transitions but her normal may become her best asset some day. Congratulations on baby #2, I hope your daughter becomes an amazing big sister ~ who knows what this life changing event will do for her? Thanks so much for sharing this with us, Andrea! It sure has been quite a journey, huh? 🙂 I appreciate your honesty. And congrats on baby #2! Andrea – Your post is making my heart do flip flops. I can’t express how happy I am that you have found this therapy. It sounds like it has been life-changing for all of you. I have a 14 year old daughter who started out life that way as well… we have muddled our way through and learned to cope and avoid and have done fairly well. She still has a lot of anxieties and we’ve taken her to psychological therapy but never anything like this. I emailed Molly from your center and am hoping she can point me in the right direction around here. Although my daughter is able to get by with what she’s dealing with now it would be amazing if we could help her even further alleviate her anxieties. Thank you so much for sharing with us. And for reminding me that we’re not bad parents (It’s just HARD to not blame yourself). I wish you all of the best with your new little bundle. When I had my second (when my first was 3) my mother said “I can’t believe she’s as hard as the first”. To be fair… she wasn’t. But she was NOT the opposite 😉 But, my first handled it pretty well and really didn’t start getting jealous until the second started crawling and getting into her toys. With all of the knowledge that you have now – I’m sure you will handle it great! smaller I thought I wouldn’t see this day, but it has been so worth it. Hang in there, you have come a long way and it will only get better. 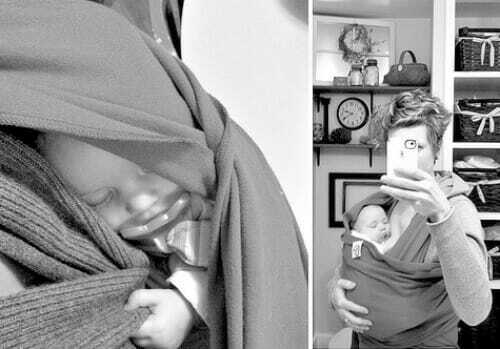 I had a very similar experience with my first baby. I actually took a child care leave from my teaching position b/c I commuted close to 3 hours a day and it was realty tough to be so far from her so many hours a day. It was also difficult because friends & co workers just didn’t get it so I kind of felt alone at times. 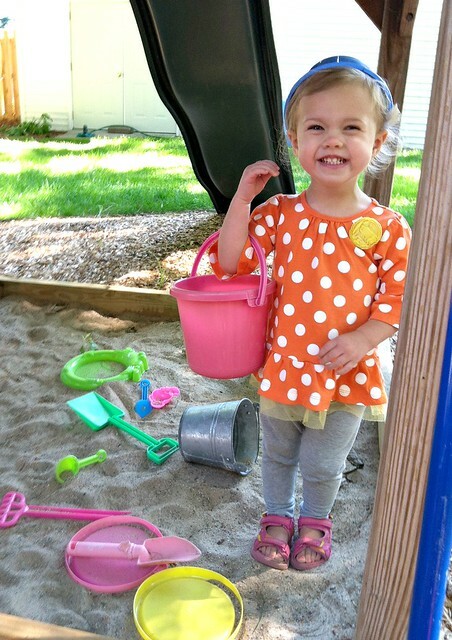 She just turned four and is in pre-school getting OT, speech, PT and play therapy. She also just started taking the school bus this week without any issue…which was amazing. On the other hand my two year old daughter is totally different. So much easier to parent, although a bit mischievous 🙂 My parents tell us she’ll give us our troubles during the teenage years lol. However, since both girls are so different they love each other to pieces. Since my younger daughter is so relaxed and outgoing it has helped my older daughter with her social anxiety issues. What a great post! I think you are so blessed to have found some things that really seem to help. My 2 year old is my 6th baby and we are at a loss sometimes dealing with his behavior! And here I was thinking I might just have this parenting thing down. HA! God’s blessings and thank you for sharing your experience! Sounds like I had a high need baby and still have a high need 4 year old. WE are just getting her to feel comfortable her Sunday school class without me there! I will check into the therapy program! Thanks for your honesty.